Rajesh Alla is the Chairman & Managing Director, IIC Technologies Ltd., which he founded in 1994. Today the company provides wide range of Geospatial Engineering Solutions to its clients through its offices in Europe, North America, Middle East, Australia, and India. Rajesh is a graduate of Carnegie-Mellon University, Pittsburgh - a premier institute for Artificial Intelligence research. 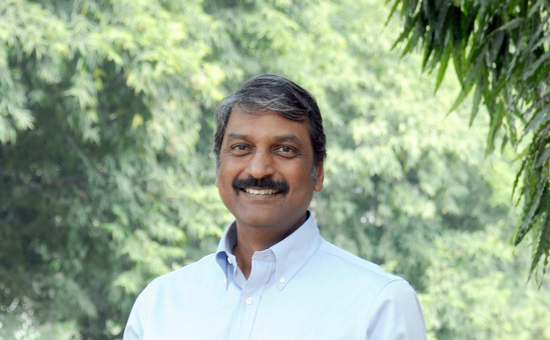 He is also an alumni of Indian Institute of Management Ahmedabad, Osmania University, and Sainik School, Korukonda. An engineer-entrepreneur at heart, he worked in the Robotics Institute, Carnegie-Mellon University, developing automated Printed Circuit Board inspection systems for production use. He is one of the pioneers of Automated Digitizing and Recognition of documents. He has developed numerous Pattern Recognition and Artificial Intelligence Algorithms. He co-founded Audre, Inc. in the US, a company dealing with Automated Document Conversion Systems. Derrick Peyton has 40+ years in the geomatics industry. Academically he holds Technical Diplomas in Surveying and Mapping as well as a BSc and MSc in Geodesy and Geomatics Engineering and an MBA. He has also graduated from an IHO IBSC Category A S5 recognized program. Professionally he is a Canadian Professional Engineer as well as a commissioned Canada Lands Surveyor. Derrick’s work experience has covered various fields of geomatics including hydrographic surveying and charting, oil and gas, transportation, land surveying, research, training, software development, marketing and business development. He is the author of several papers in geomatics and has served on numerous committees and advisory boards related to surveying and mapping. A lifetime achievement awardee, thought leader and veteran in the geospatial technology, Dr. Siva Kumar is President at IIC Technologies and an Director Emeritus of the Board of Open Geospatial Consortium (OGC). For almost four decades in the geospatial domain, Dr. Siva Kumar has contributed to global standards and policy formulation, and his efforts resulted in defining the National Map Policy 2005, Remote Sensing Data Policy 2011 and National Data Sharing and Accessibility policy 2012. He served as CEO of National Spatial Data Infrastructure (NSDI) and head of the programs of Natural Data Management Systems (NRDMS) from 2002 - 2014. 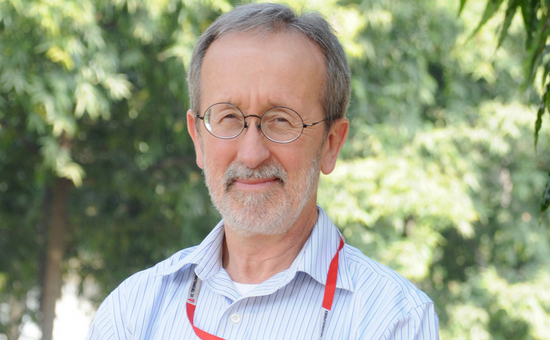 In addition, he has been on the peer review board of Global Spatial Data infrastructure (GSDI) during the 2009 and 2010. He chronicled his experiences in a book titled 'Indian NSDI - A passionate Saga'. An alumnus of ITC, Netherlands and IIT Delhi, where he completed his Ph.D., Dr. Siva Kumar has published over 44 papers and 15 books and monographs. 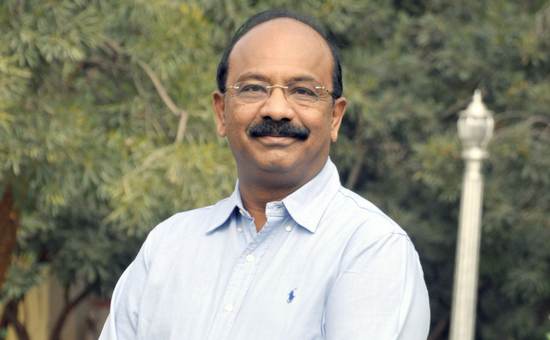 Actively involved in academia, he also served as Pro Vice Chancellor (R&D) in GITAM University, Hyderabad ( March 2014 – March 2015). Chairman of the committees constituted for National geospatial Policy and Capacity Building in addition to being member of a number of committees of Government of India. 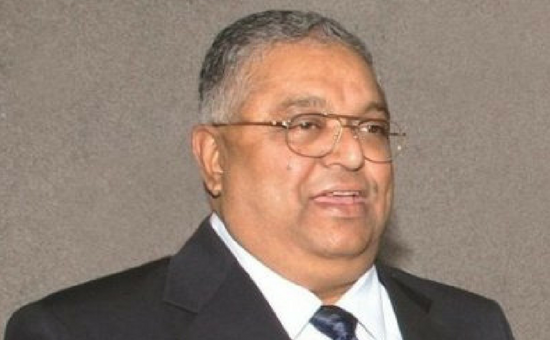 Among his accolades are included the Dolezal Prize of the International Society for Photogrammetry and Remote Sensing, the Bhoovikas Samman, National Geospatial Excellence award of the Indian Society for Remote Sensing (ISRS)and the Geospatial Lifetime Achievement award. As Executive Vice President, Mithra is the head of operations at IIC Technologies. His team is responsible for ensuring our clients are successful by delivering high quality products and solutions, on time. With over 20 years of experience in the field, Mithra has worked across the breadth and depth of the geospatial technology spectrum. From his start in IIC Technologies as a CAD operator in 1994, he steadily moved adding multiple technologies, geospatial domains, and management functions to his portfolio. He has been instrumental in introducing new technologies and processes, keeping IIC Technologies at the cutting edge of geospatial science. Today, his team executes projects across the entire value-chain from surveys and data conversion, to delivering terrestrial, marine, and software solutions, to our clients across the globe. Mithra is an alumnus of University of Mysore and IIM, Kolkata. With balanced expertise in both technology and management, Somnath serves as the Vice President (Defense, Aerospace & Geosciences) of IIC Technologies Limited. He provides leadership and management capabilities to IIC Technologies and is responsible for project evaluation, project planning and preparation, and timely completion of projects. He is also responsible for Total Quality Management (TQM) concepts and implementation of ISO 9000 processes. He has more than 16 years of professional experience and has been managing a number of government projects in India as well as several GIS projects all over the world. He has been instrumental in managing the first ever digital national level cartographic database (NCDB) – Digital Vector Data Standards (DVD). He has a strong client level project understanding and is responsible for project evaluation, project planning and preparation, and timely completion of projects. Somnath is an engineering graduate in Mechanical and holds dual Masters Degrees in Economics and Public Administration. Dr. Ravi is a Doctorate in Earth Science and hold a Master’s degree in Business Administration. He has a rich experience of over 21 years in various fields of GIS, Remote Sensing, Photogrammetry and Survey Technologies. Much of his experience has been in implementing various system integration and engineering projects for large organizations. In his current role as Vice President – Business Development, he his primarily responsible for evaluating new business opportunities across the geospatial domains and customer management.